Studio West has teamed up with top music instructors to offer lessons in music production, singing, guitar, ukulele, piano/keyboards, drums, electronic music and more. With an experienced roster of instructors operating out of our world-class facilities, we've created the ideal environment for furthering your musical passion. We also offer Off-Site tutoring/consultation at a rate of $85.00 per hour with a two hour minimum. We will do our best to be flexible with your schedule, and no extra charge will be included for travel anywhere within 20 miles of Studio West. For more information on off-site tutoring/consultation, Contact Us or call 858-592-9497. Andy Walsh has been with Studio West for over seven years, starting as an intern in high school and completing TRAC’s very first music production program at the top of his class. Since then he has worked as an instructor, establishing the summer high school workshop and after school program, and as an engineer, working with such notable clients as Steve Kerr, Above and Beyond, and Greg Leisz. Andy is a multi-instrumentalist and grew up playing music for musicals, cover bands, and original projects. He has produced, mixed, and engineered dozens of EP's, singles, and albums for local San Diego artists, integrating vintage equipment and sounds with modern recording techniques and technology. From Schoenberg to Sia, Andy has a great appreciation for all types of music, graduating from University of California, San Diego with a BA in Music Humanities. Audio Engineering: Learn the workflow of professional recording sessions, covering areas such as signal flow, troubleshooting, acoustics, micing techniques, and gear essentials. Mixing: How much is too much compression? What's a convolution reverb? Is in-the-box really the only modern option for mixing? Analyze mixes, discover techniques, develop good habits and practices, and get our mixes sounding better. Software: What DAW is the right DAW for me? Including Pro Tools, Ableton, and Logic alone, there are so many options out there; get into the nitty-gritty of this software and learn the features that fit into your creative process. Home Studio Design: Quality recording equipment has never been so affordable or accessible, but not all gear is equal. Skip over dissatisfaction and get professional advice on what really counts in your own home studio. Production: Better double track that.... Uncover cutting edge and decades old production techniques, from comping and tuning to effectively communicating with artists. There are virtually limitless approaches to production, get guidance developing your own unique style and start making a name for yourself. Arrangement Music/Music Theory: Get the most out of a song, develop an emotional arc with the instruments you have at your disposal. Learn to master and manipulate the sonic spectrum with pitch and duration. Mattie Mills has 41 years of professional vocal performance experience. 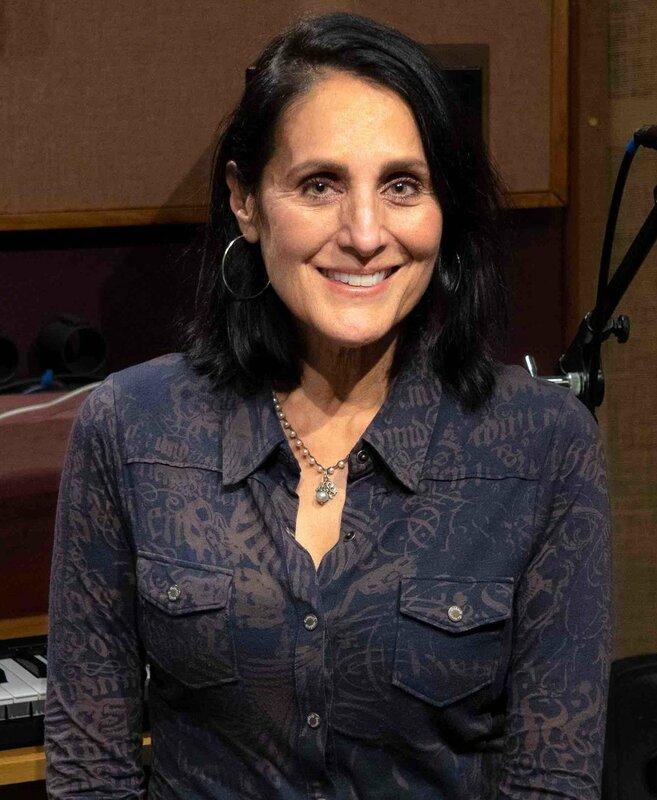 She has performed alongside incredible artists such as Elton John, Rick Springfield, Lea Salonga, Greg Douglass of The Steve Miller Band, and Stephen Bishop. Mattie has also sung for impressive companies and corporations like CBS, Children’s Hospital, Qualcomm, Gianni Versace, NFL, United Airlines, and Dodge Corporation. In addition to live performance, Mattie is a voice-over actor and singer, having recorded for Disney On Ice, Barnum and Bailey Circus, Sesame Street Live, Disney Live, and a myriad of TV commercial spots. She was trained at the American Conservatory Theater, Up With People, Andrew Boettner, and with the late Martin Grusin. Mattie has taught and coached voice for 12 years. She works with her students to develop vocal fitness and artistry that is sustainable and fun. A mother of 4, Mattie loves working with students of all ages. With her extensive recording studio experience, she also produces music projects for students who are interested in recording. Her talent and experience as a performer and teacher have caught the attention of renowned vocal competitions such as American Idol and this has allowed her students to have frontline access to auditions. Andrew Krause - Learn Guitar, Piano, Electronic Music and more . . .
Andrew Krause is a multi-instrumentalist, composer and producer with nearly 10 years experience teaching guitar, piano, drums, ukulele, and music theory. Andrew also teaches Apple Logic, Ableton Live and Finale, in conjunction with music composition and production techniques. As an electronic music producer, under the alias D.R.U., Andrew has produced official remixes for several notable artists, including Grammy nominees The Nappy Roots. His original compositions have been featured in music libraries and have received placement in television shows and events. Andrew holds a Bachelors Degree in Music from the University of San Diego, where he received department honors. Contact Us or call 858-592-9497 for more info. San Diego Drum Lessons is based at Studio West and is run by professional drummer and educator, Simon DasGupta. With over 20 years of teaching experience, Simon offers his services to students of all levels, covering all of the main musical styles. Simon is also the Founder and Presenter of Drum Ambition, an online platform for beginner drummers, produced at Studio West. With a solid background in drum education and practical experience in the recording studio, musical theater, the live environment and his work in television and radio; Simon is uniquely positioned to help you achieve your goals.